Is the rule of “Nasog Achor” specific to the Bible? Usually, Hebrew words get the accent (and trope note) on the last syllable. However, if the word following it has its accent on the first syllable then the accent on the previous word moves backwards one syllable. In brief, The 1st אלהי is pronounced "e LO hei" because the next word KHE- sef is accented on the 1st syllable. The 2nd אלהי is pronounced "e lo HEI" because the next word za HAV has its accent on the 2nd syllable. My question - Is this a rule that emanates from the nature of the Hebrew language dikduk itself, such that Normal Hebrew conversation would require using this rule, or is it only because the rule applies to trope (i.e. - since the trope note is on a certain syllable, that one is accented) and the rule is used only when reading verses in Tana"ch? Would Nasig achor be used during prayers as well? Koren Publishers, for one, is unsure whether Nasog Achor applies outside the Biblical context, particularly to prayers. Consequently, in their publications, they default to not applying Nasog Achor unless the text in question comes directly from a Biblical source where it is indicated by the cantillation. I learned of this policy from a note I received from Efrat Gross, their Senior Hebrew Grammar Expert and Chanan Ariel, their Chief Proofreader, in response to a query I sent them about the blessing of Hamotzi. The note is reproduced, translated, and annotated in this answer post. 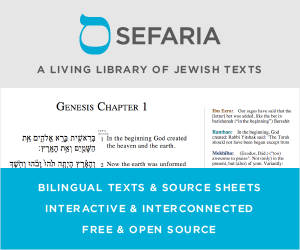 A November 2018 Seforim Blog post by Marc B. Shapiro, entitled "Conservative Conversions, Some Grammatical Points, and a Newly Published Section of a Letter from R. Joseph B. Soloveitchik," notes some additional manifestations of this policy in Koren's publications. Not the answer you're looking for? Browse other questions tagged grammar-dikduk trop-cantillation . Is the bracha pronounced “ha-MO-tzee” or “ha-mo-TZEE”? Does the vav hahipuch also mean “and”? Do all those extra “ands” belong in the Bible? Can a meteg make a difference in meaning?